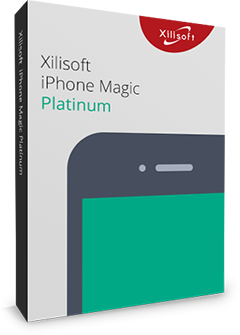 Xilisoft Photo Slideshow Maker for Mac provides you the perfect solution to sort out your photo collections to wonderful slideshows by making them to photo videos of various formats on Mac. You can make exciting photo slideshows for sharing them to the Internet or enjoying on portable digital devices, say iPhone, iPad, iPod and so on. 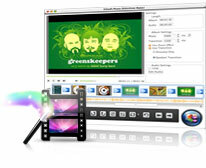 Besides, you can add your favorite music as the background music, apply transitional effects to make a more natural joint between images and choose appropriate output video format to suit with your digital devices and etc. 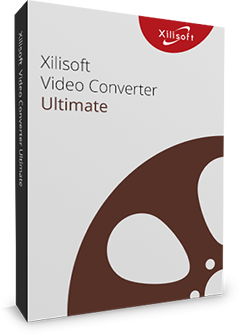 Create photo videos from multiple image formats on Mac, including jpg, jpeg, png, gif, bmp, tiff, xbm and xpm. 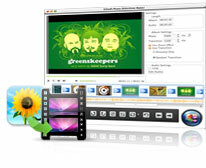 Export photo slideshows to various video formats to fit for your digital devices, such as AVI, MPEG, WMV, DivX, MP4, H.264/AVC, AVCHD, MKV, RM, MOV, XviD or 3GP. Easiest steps to make a photo videos: organize, personalize and create. 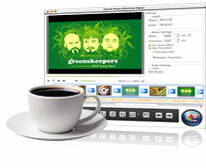 Introduce audios files by drag-and-drop, multiple audio formats are supported like aac, aif, aiff, ac3, ape, au, flac, mpa, mp2, mp3, ogg, ra, wav, wma, m4a to enrich the output effect of videos. Adjust the orientations of imported images freely: turn left/right, flip, mirror or rotate automatically. 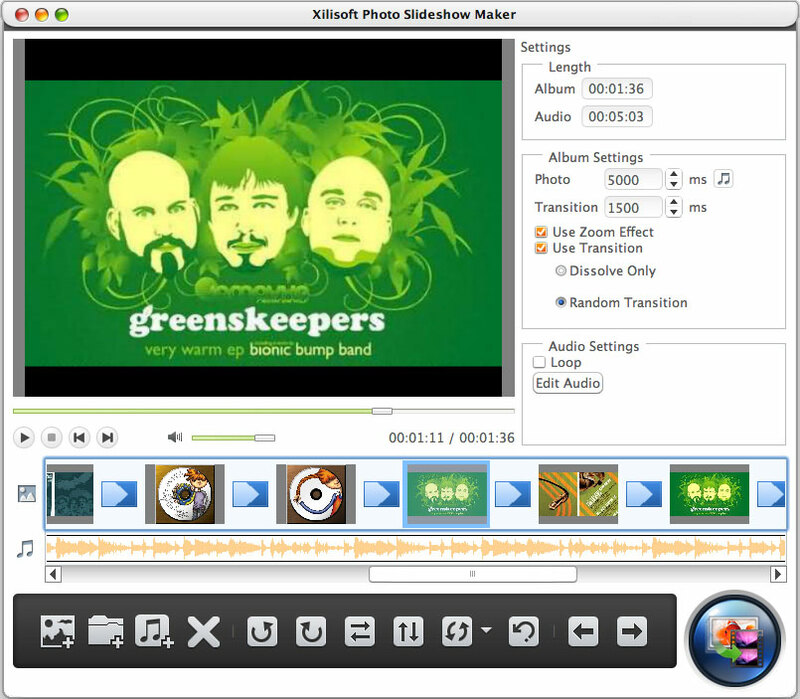 Apply transitional effects to make smooth playback of the slideshow. Clip an audio file to customize background music, import several audios and arrange the playing sequence, set loop mode to your preference. Now, with sorting functions, you can classify a batch of photos by name, type, date and size easily and clearly. Upload photo videos to YouTube, Facebook and more to share, output photo videos on portable devices like iPad, iPhone, iPod and etc.